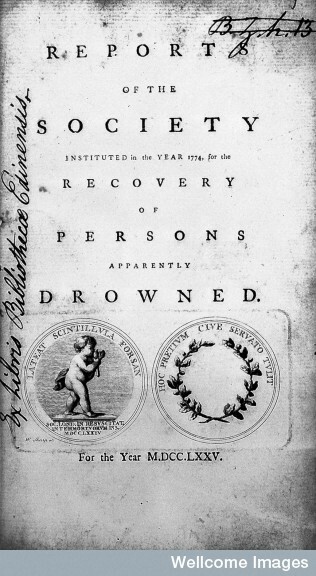 Charles Kite, An Essay on the Recovery of the Apparently Dead (London: 1788) containing “A Description of a Case of Pocket Instruments for the Recovery of the Apparently Dead”. The question of whether it was possible – and indeed ethical – to revive the dead was certainly a hot topic towards the end of the eighteenth century. On the one hand, an increasing interest in the possibilities created by scientific and technological advances was increasingly rendering the impossible possible. This was the age of technological innovation and artisanal skill. Industrial luminaries such as Benjamin Huntsman, Josiah Wedgewood, James Watt and Matthew Boulton were all investing massively in new technologies, and their creations – from steam engines and pumps to everyday household items – were themselves heralding a new age. Scientific societies offered prizes to inspire would-be inventors to create useful products. Useful, in this case, often meant something that could advance agricultural or military prowess. But, with the creation of the Royal Institution, and an emphasis upon experimentation, endeavours towards the advancement of science for its own sake were also promoted. Science, it seemed, had the potential to unlock many of the mysteries of life and the universe…even death. On the other hand, however, there was still a lingering tension between science and its relationship with religion. Could, and indeed should, man interfere in the natural processes and cycles of life. In many ways he already did. At the most basic level, medicine itself sought to prevent or delay death, or at least to palliate symptoms. There was some degree of uncertainty about when death actually occurred, and how to discern the point beyond which revival or resuscitation was possible. Charles Kite’s book was part of a new interest in the question of death, approached from a scientific and essentially detached point of view. Among the types of death that men like Kite were interested in preventing were those caused by drowning. There was, indeed, even a whole society dedicated to the subject! Accidental drowning represented a large percentage of causes of death, whether by accident or intention. It was also recognised, however, that this was a state that had the potential to be reversed. The opening sentence of Kite’s book reveals something of attitudes towards death by drowning. It is firstly interesting to note that death is something potentially to be “remedied”; this immediately places it out of the metaphysical and into harsh corporeal reality. It is reversible. But more importantly, as Kite recognised, time was of the essence. If speedy assistance could be rendered, then more people could be saved. The answer, as Kite saw it, was a device that could restart the respiratory process. Such devices were already in existence. 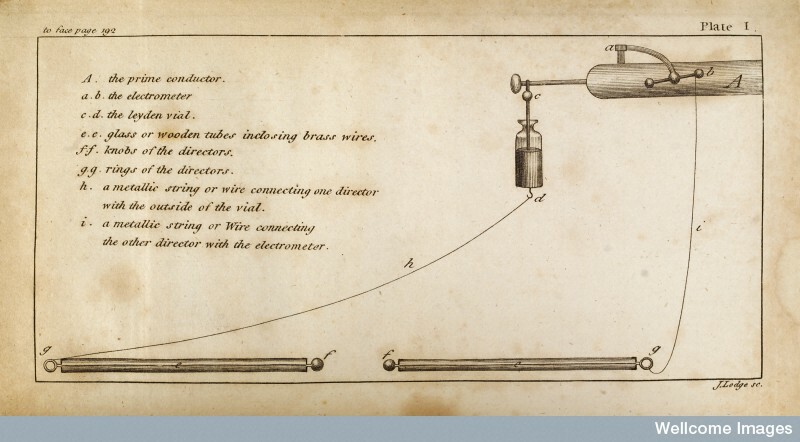 In 1775, one “Dr Cogan” had contrived an apparatus and brought it to the attention of the Royal Society. According to Kite, “it soon came into common use and has remained so until the present day”. The problem, though, was one of size. Cogan’s apparatus was unwieldy and the delay in moving it from place to place often meant that the patient was dead (properly dead!) by the time it arrived. It involved, for example, an ‘electrical machine’ which was too impractical to use in the field and could not be scaled down. This image of the proposed apparatus highlights the problem! Kite’s answer was a set of ‘pocket-sized’ instruments that could be carried from place to place with more ease, reducing the delay and thus raising the chances of successfully reviving the drowned person. Standard practice involved taking blood from the jugular vein of the patient but, depending on the length of time they had been in the water, getting blood from their rapidly deteriorating venal system could be tricky. The solution was to use Kite’s handy small instruments along with anything else at hand – even coffee cups – to draw off the requisite amount of blood, which was seen as the first stage in the process of revival. Secondly, and more interestingly, though, was the recognition that the “suspended action of the lungs” had to be reversed. This was “of the utmost importance in our attempts to recover the apparently dead, let the original cause be whatever it might”. But how was this to be achieved? Kite suggested an elastic tube, about twelve inches long, which had an ivory or silver mouthpiece, or bellows, attached to a conical screw. The other end had an ivory appendage to allow it to be passed into the deceased’s nostrils. One person was to be stationed at the head of the body to insert the tube into the nose, and then to blow air “with force” through the tube. It was the job of the other person (the “medical director”) to keep the deceased’s mouth closed whilst also maintaining pressure on the windpipe to ensure that the air went into the lungs, rather than the stomach. What is essentially being described here is artificial respiration. Perhaps less conventionally, however, Kite recommended the use of tobacco as a stimulant to further jolt the person back to life. This could be administered either as smoke passed through the tube and into the lungs, or passing it in solution to the stomach. What can we learn from this source? Firstly, it highlights the sometimes remarkably ‘modern’ attitudes towards the body, and of reviving the dead, thought about and adopted by eighteenth-century medical practitioners. 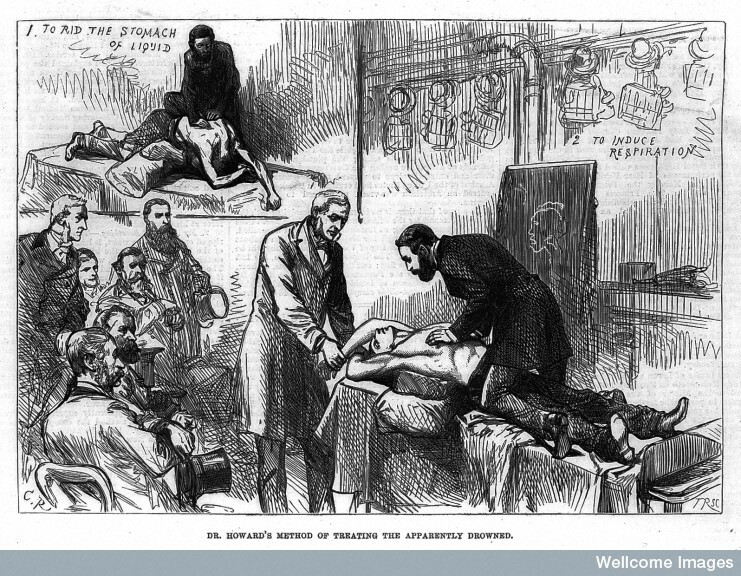 The application of sustained scientific enquiry into the body, together with the knowledge gained from anatomical studies was beginning to have a profound effect on medicine; some see this as the change to a ‘medicalised’ view of health and the body. Secondly, though, it is a fascinating glimpse into an eighteenth-century medical treatise, written by a practitioner for practitioners. The sharing of essential knowledge, the questioning of accepted truths and the willingness to test new theories all come together to make the eighteenth-century a rich and absorbing period in the history of medicine.